Archaeologists in the western Austrian province Tyrol unearthed the remains of a large-scale Roman villa, complete with extensive floor mosaics that may have been also a source for a number of local legends. The archaeologists from Innsbruck University stumbled upon references to the 1,800-year-old, long since forgotten building situated near the town Lienz in a manuscript penned in Latin, dating back to the mid-18th century. Tyrolean proto-archeologist Anton Roschmann wrote that he found Roman remains in 1746, but his findings were lost, the Austrian Press Agency reported. During a dig in October the remains of five rooms of a building dating back to Roman times wear unearthed on a 300-square-metre plot. The remains of the walls show colourful wall paintings, the archaeologists said, but the most astounding find were large-scale floor mosaics in three of the rooms. A badger sett has been moved to stop it damaging a medieval cemetery in Pembrokeshire. The animals were resettled to stop them destroying bones at Brownslade Barrow on the Castlemartin military range. Once they were moved archaeologists were able to examine the site and uncover some of its secrets. The project has won the Silver Otter Trophy awarded by the Ministry of Defence (MoD) for conservation work carried out on its land. Archaeologists have found the foundations of medieval buildings near the Royal Palace in Stockholm, dating from the city's early years. The palace occupies the site of Stockholm's medieval castle. John Hedlund of the Stockholm Stadtmuseet told The Local the discovery of what appears to be a house, warehouse or combination of the two sheds new light on early Stockholm's appearance. Like bringing to life a naked mannequin, scientists are using genetic and physical evidence found in fossils to clothe the skeletal remains of our closest hominid relatives, the Neanderthals. More and more, they seem familiar. Bones from two Neanderthals yielded valuable genetic information that adds red hair, light skin and perhaps some freckling to our extinct relatives. The results, detailed online today by the journal Science, suggest that at least 1 percent of Neanderthals were redheads. "We can't say anything for the actual fossils we looked at, but we can be sure that part of the Neanderthal population was red-haired," said study team member Michael Hofreiter of the Max Planck Institute for Evolutionary Anthropology in Leipzig, Germany. Archaeologists are unlocking the secrets of Silbury Hill, one of Britain's greatest historical mysteries. Researchers have long been mystified as to why the giant prehistoric mound in Wiltshire was built. But following one of the UK's most extensive and expensive digs, they appear to have found their answer: Silbury Hill may well have been a tomb, not for bodies, but for the souls of the dead. The English Heritage dig, which cost £1m, tunnelled 85 metres into the 40-metre-high man-made hill, discovering that its Neolithic builders had incorporated hundreds of heavy sarsen stones into its matrix. Sarsen, the silicified sandstone still found in great quantities in Wiltshire, was also used to build Stonehenge and Avebury. Heavier than other types of stone, archaeologists have long suspected that the material was regarded as sacred by Neolithic man. Archaeologists are hoping to unearth some ancient secrets at three of the Queen's residences over the weekend. 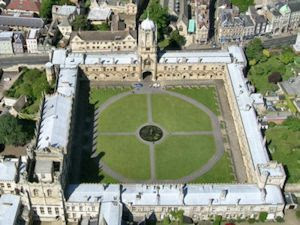 Digs will take place in the grounds of Buckingham Palace, Windsor Castle and the Palace of Holyroodhouse, Edinburgh. Among the treasures the archaeologists hope to uncover is evidence of a Roundhead fortress from the English Civil War at Buckingham Palace. The historical excavations are being undertaken for Channel 4's archaeology programme Time Team. Visitors to Isambard Kingdom Brunel’s steamship Great Britain in Bristol have been able to watch an archaeological dig unfold before them. On October 22 they were able to glimpse the excavations of a tannery yard built on top of the site of the Great Western Steam Engine Factory, which is being investigated prior to work starting on the building of the Brunel Institute conservation and learning centre and new flats. “We knew about the existence of the tannery yard, but it is interesting to witness the dig unfold and to be able to contribute to the Brunel archive – this will be one of the best recorded tannery yards in England,” said Phil Andrews, Senior Project Officer for Wessex Archaeology who are conducting the dig. Latest discoveries in Syria date back to start of Neolithic era in Epipalaeolithic period. Deep in the heart of northern Syria, close to the banks of the Euphrates River, archaeologists have uncovered a series of startling 11,000-year-old wall paintings and artefacts. "The wall paintings date back to the 9th millennium BC. They were discovered last month on the wall of a house standing two metres (6.6 feet) high at Dja'de," said Frenchman Eric Coqueugniot, who has been leading the excavations on the west bank of the river at Dja'de, in an area famous for its rich tradition of prehistoric treasures. The etchings are "polychrome paintings in black, white and red. The designs are solely geometric, and only figurative. The composition is made up of a system cross-hatched lines, alternating between the three colours," Coqueugniot said. Archeologists from a Novi Pazar museum came across what they say is the oldest tomb ever discovered in the country. The find is located in the village of Sugubine, near Sjenica, in southwestern Serbia, archeologist Dragica Premović-Aleksić told reporters Friday. The tomb dates back to 9th century AD and has a huge historical and scientific significance, she added. "Before they converted to Christianity, the Serbs, just as other Slavic pagans, burned the bodies of their dead," Premović-Aleksić explained, adding this is the first time the remains that have not been burned were discovered in a grave dating back to that era. The Brownslade Barrow Project 2004-06, run by the South Pembrokeshire Ranges Recording Advisory Group (Wales), unearthed an archaeological monument on a Bronze Age burial mound. More than 1000 bone fragments, some of them human, were found at the site. They are currently being analysed by specialists at the University of Lampeter, Ceredigion. Brownslade Barrow on Castlemartin Range is a bronze age burial mound designated as a Scheduled Ancient Monument. In 2001 range staff noticed human bones on the ground close to the barrow, they had been disturbed by badgers living close to the monument. Carbon dating revealed that these bones came from a cemetery dating from the early medieval period. Action was required to prevent further disturbance to this newly discovered cemetery and to stop the badgers reaching the protected area. German researchers have discovered Neandertals apparently had the human variant of a gene that is linked to speech and language. A team of scientists, primarily from the Max Planck Institute for Evolutionary Anthropology in Leipzig, made the discovery during efforts to reconstruct a full genome of the extinct hominid. The findings push back the estimated timing of the FOXP2 gene's selective sweep (rapid spread of a gene mutation due to the survival advantage it conferred) from 200,000 to 350,000 years ago, when the common ancestor of Neandertals and humans roamed the earth. Hasankeyf in southeast Turkey has been home to Assyrians, Romans, Byzantines and Ottomans over the past 3,000 years, and has the monuments to prove it. Visitors may soon need scuba gear to see them. Turkey plans to build a $1.7 billion dam to generate power from the Tigris River, which flows through Hasankeyf en route to Iraq. Archaeologists are fighting the project so they don't have to choose between moving fragile structures like Hasankeyf's Silk Road bridge or seeing them submerged under 100 feet (30 meters) of water. The town's history unfolds down the sandstone cliffs that line the Tigris. On the plateau above the river lie the ruins of a castle built by Byzantine emperor Constantine the Great. Caves carved into the sheer walls three millennia ago were inhabited until the 1960s. Near the river, archaeologists have uncovered a complex of medieval mosques, palaces and shops. Saturday, the 16th June 2007, the Cave of Archaeology, an area of experimental archaeology has been introduced and opened to the public, realized inside the anti-aerial shelter of Villa Doria in Genoa (Italy) and it’s targeting people interested in re-living the prehistory of Liguria. Among the trees at “Parco di Villa Doria”, behind Piazza Bonavino di Pegli, the entrance of an anti-aerial shelter is situated, dug on a side of the hill. Its appearance is similar to that of a cave, also thanks to the setting in which it’s placed, safe and distant from the city noise. The refuge, dug during the Second World War to protect the citizens of Pegli from the bombardments, now welcomes this underground space inspired by the caves of Liguria, in which the public may enter, discover and test tools, instruments, daily objects, monuments, difficulties and experiences of the daily life during the prehistoric era. Neanderthals may have a reputation in popular culture as a lumbering, grunting people, but researchers have discovered that they did have a gene thought to play a key role in speech. Samples of DNA were retrieved from two Neanderthal fossils found in a cave in northern Spain. Careful examination revealed that the pair both had the FOXP2 gene. The human version of this gene is different from the chimp version in two places, leading scientists to speculate that these changes are responsible for our ability to speak. The Neanderthals both had the human version. The findings push back the emergence of a particular gene in the human family tree by some 300,000 years, to the time when the Neanderthal and modern human populations diverged. Previously, the gene was thought to have swept through the modern human population just 50,000 years ago. NOT so long ago, a walk around the Eynsham Abbey Fish Ponds was difficult - at times almost impossible. Walkers had to battle their way through undergrowth, scrub, knee-high vegetation, and fallen trees to complete the journey at this seven-acre site. Most preferred not to attempt walking the perimeter, instead choosing to use the main pathway, that passes through this area. Now the site has been opened up. There's a picturesque expanse of open water, surrounded by trees in the centre where one of the original abbey fishponds would have been, and a clear pathway encircling the entire space. Ditches have been cleared, overhanging branches pruned back, and 150 saplings planted throughout. There's even a sturdy new wooden bridge over the stream, and several bat and bird boxes are hidden in the trees. It's all very beautiful. Peaceful too. BUDDING archaeologists are invited to take part in a project which has already unearthed pre-Roman remains in Warwickshire. The quest for buried historical treasure will continue in Bidford, near Stratford, tomorrow from 11am to 3pm, following a successful fieldwalk last week, in which more than 50 enthusiasts gathered at Wixford Lodge Farm to help archaeologists. Together they discovered interesting relics including worked flint which identifies human activity in the area thousands of years ago, long before the Romans. County experts are also hoping to find further evidence of Roman occupation after pottery and tile were discovered. Czech Archaeologists have uncovered a part of a half-meter high statue of a woman nearly 7,000 years old in the country, which was called "a find of the century," the daily Mlada fronta Dnes (MfD) reported on Thursday. 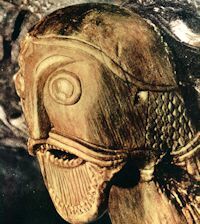 Experts from Brno's Masaryk University confirmed the unique character of the statue uncovered in Masovice, South Moravia area of the Czech republic, the paper said. The hollow legs and haunch of the female statue, made of ceramic, originate in 4,800 - 4,700 B.C., MfD wrote. Nothing similar has been uncovered so far, according to the experts. The statue was made by the people of the prehistorical culture known as "Moravian Painted Ceramic". Experts are studying a carved stone recently uncovered on Whitby Abbey Headland in North Yorkshire (England) to see if it represents the first Bronze Age artefact from the site. St Hild founded an abbey on Whitby Headland in 657 CE, which is now an important historical site. An archaeological team came to the site this autumn for a six-week dig, and found an intriguing object – a mysterious stone carved with linear markings. Measuring about 40cm by 50cm, it appears to be of the type of Bronze Age carved stones found on the North York Moors in 2003, dating from 2000 BC-700 BCE. "We need to wait for detailed analysis before we draw firm conclusions. If it is Bronze Age, then it underlines that the headland has a long history of settlement, well before St Hild founded the Abbey in 657 CD,” said archaeologist Sarah Jennings. A 5,000 year old monument has been targeted by vandals in Lancashire (England). A prominent spiral-shaped design has been carved into the ancient Pike Stones - a long barrow burial chamber - on Anglezarke Moor in Chorley. United Utilities, who own the land on which the monument stands, claim it is one of the earliest man-made structures in the county. The Pike Stones are protected by law and it is an offence to deface them, a spokeswoman from English Heritage said. Dr Jennie Stopford, English Heritage's ancient monuments inspector, said: "Anyone defacing or the stones or the area around them is committing an offence. But, more importantly, they are also destroying the heritage of present and future communities." Vandalism of the Pike Stones has been a problem for many years according to Hazel Gannaway from United Utilities. "This carving in particular has made us fearful that the culprits may return to add further carvings and symbols in the near future," she said. What the carving actually means is a mystery. The European Commission is reportedly expected to begin legal action against the Government today over the M3 motorway near the Hill of Tara. Reports this morning say Environment Commissioner Stavros Dimas will ask his colleagues to refer the matter to the European Court of Justice. Mr Dimas will reportedly say that Irish law does not offer enough protection to archaeological sites and that a new Environmental Impact Assessment should have been carried out after the discovery of the Lismullen monument in the route of the motorway. This morning's reports say the EC action will not stop the construction of the M3, but will force the Government to defend its decision to build the motorway in an archaeologically sensitive area. The EU Commission is to take the Irish government to court over the route of the M3 through the Tara valley. The Government could face fines as well as Europe-wide adverse publicity but will unlikely be forced to reroute the controversial road away from the national monument. Environment commissioner Stavros Dimas will tell his commissioner colleagues at a meeting in Brussels today that the National Monuments Act in the Republic does not offer enough protection for important archaeological sites. Ancient Russian Birchbark Manuscripts Now on the Web! Russian scholars have set about translating relic birchbark manuscripts into English, the Novgorod Museum Reserve informs. The translated texts will be posted on the already existing web site www.gramoty.ru. The project on translating texts of birchbark manuscripts and placing them on the internet is realized for the first time ever – a representative of the Novgorod Museum Reserve added. The unique site already presents 1049 manuscripts of the 11th – 15th centuries, discovered during archeological excavations in Veliki Novgorod, Vitebsk, Zvenigorod, Tver, Torzhok, Pskov, Staraya Russa and Rurik site. On www.gramoty.ru you will find photos of the burchbark manuscripts (gramoty in Russian) and their text copies in the Old Slavonic language and translations into the modern Russian, as well as basic information about the archeological rarities. Greece has begun moving the ancient sculptures from the Acropolis in Athens to a new home - a museum at the foot of the hilltop citadel. Crowds of bystanders watched the first of the monuments gingerly lifted by cranes at the 2,500-year-old Parthenon. Thousands of antiquities will be moved, mostly marble sculptures from the fifth and sixth centuries BC. Greek officials hope the new site will boost the country's long campaign for the return of the Elgin Marbles. The raising of the Mary Rose in 1982 was greeted with feverish excitement, but what has this landmark find actually told us in the 25 years since? At the tail end of 1982 it seemed like you couldn't switch on Newsround without seeing something to do with Mary Rose. Our fascination with the ship that met a sticky end while firing at a French invasion fleet in 1545 has flared at times in the years since. It is almost a rite of passage for some school children to go and see this emblem of the Tudor age. The Elgin Marbles in the British Museum are marvellous - but they're a bit, well, colourless, aren't they? That isn't how it was for the ancient Greeks. The sculptures were painted in vivid colour. High up on the sides of the Parthenon temple in Athens, they had to be. Now a new film on permanent show in the room next to the Marbles adds the colour - and the fear and the violence. "When we started to apply the colour it brought a lot of the emotion to life," says Dyfri Williams, Keeper of Greek and Roman Antiquities at the British Museum. A medieval church which was dismantled and rebuilt stone-by-stone 50 miles away is being opened by the Archbishop of Canterbury today. St Teilo’s Church has been moved from the West Wales community of Pontarddulais to the St Fagans National History Museum in Cardiff and renovated in a project that has lasted almost a decade. Carpenters and painters have rebuilt and decorated it to look as it did in the 1520s, using inspiration from a set of rare wall paintings dating from the period which were found when the building was being dismantled. The painstaking project is thought to be the first of its kind attempted in Europe. ATHENS (Reuters) - Greece on Sunday began moving the ancient sculptures from the temples of the Athens Acropolis to a new museum, designed specifically to prod the British Museum into returning its own prized collection of Parthenon marbles. Dozens of bystanders, some in tears, watched as three cranes relayed a massive stone slab from the 2,500-year-old Parthenon. It was carved with four youths leading bulls to sacrifice to the goddess Athena. "I am trembling, it touches my soul," said pensioner Pelagia Boulamatsi, 71, unable to hold back tears. "This is an ancient civilization that is the foundation of the world." Were Neanderthals direct ancestors of contemporary humans or an evolutionary side branch that eventually died out? This is one of the enduring questions in human evolution as scientists explore the relationship of fossil groups, such as Neanderthals, with people alive today. Two recent papers describing the sequencing of Neanderthal nuclear DNA from fossil bone held promise for finally answering this question [1, 2]. However, the two studies came to very different conclusions regarding the ancestral role of Neanderthals. Jeffrey D. Wall and Sung K. Kim from University of California San Francisco now reveal in PLoS Genetics what they found when they reanalyzed the data from the two original studies. Builders, working on a construction site near the market place of the Bulgarian coastal town of Varna, earthed a second century necropolis containing two sarcophagi. The graveyard was discovered in a region known as the Odessos necropolis and contained the skeletons of a 30-year-old woman and a man, who are believed to have been a poor family. An ancient coin was found, which is believed to have been put under the tongue of the dead man. He was to give the coin to ferryman Charon to transport his souls across the river Styx into the underworld. Think Archaeology is a part of ThinkWords.net, a new web project born to collect news and intesting rumors and tips from all over the world wide web. You can find Think Archaeology here, or go to the link under "Archaeological Weblogs" in the sidebar. A NEW website will be created to promote archaeological objects in the region - thanks to a £40,000 cash injection. Under the Recognition Scheme funded by the Scottish Government and managed by the Scottish Museums Council, important collections are protected and promoted to a wider audience. And Dumfries and Galloway museum service’s archaeology collection is one of five museums and galleries in Scotland to land a financial boost. Some of Britain's best-known historians are joining the chairman of English Heritage in imploring the government to reverse a decade of cuts in heritage funding which they claim have lost the sector more than £100m. The fact that heritage was not even mentioned in this week's spending review has left them fearing the worst. The culture secretary, James Purnell, will tell the Arts Council this morning how much it is getting, but English Heritage will not learn its fate until next week. After a decade of standstill funding or actual cuts, some of its grants schemes are now surviving only with lottery or charity help. A reproduction of the minutes of trials against the Templars, "'Processus Contra Templarios -- Papal Inquiry into the Trial of the Templars"' is a massive work and much more than a book -- with a 5,900 euros ($8,333) price tag. Coast presenter Neil Oliver will explore the interior of the largest man-made mound in Europe in a one-off documentary for BBC4. In Lion Television's Silbury Hill, the archaeologist will team up with social anthropologist and Castaway presenter Mary-Ann Ochota in his attempt to find out why Silbury Hill was built and to uncover the story of the people who helped build it. English Heritage granted Lion access to the Wiltshire mound and the work of its archaeologists and engineers for the 60-minute doc. Silbury Hill was commissioned by BBC specialist factual commissioner Martin Davidson. George Williams directed and produced the doc for Lion, with Chris Corden as co-producer and Bill Locke as executive producer. They lay hidden from view for hundreds of years, guarding silently the secrets of a tumultuous history. But when archaeologists working on a £900,000 conservation project at Binham Priory, in north Norfolk, uncovered two medieval windows dating back to the 13th century, they knew the discovery would provide a rare glimpse into the site's past. Historians are now working to find out whether or not the two windows at the site's gatehouse were part of a room possibly inhabited by a monk who would have kept a watchful eye on all people, animals and carts entering or leaving the monastery. The two dressed stone windows had been blocked out when previous owners built a reinforced concrete pen to house a bull on the existing mediaeval building, bricking in the ancient walls. The Mary Rose is a national treasure which could soon be lost. That is the stark warning from the team that helped to raise the Tudor warship from the Solent 25 years ago. The Mary Rose Trust needs £35m to complete conservation work and to house the vessel in a new, permanent museum - but it can only raise £14m by itself. Admiral John Lippiett, chief executive of the trust, said the ship's fate is now once again in the hands of the Heritage Lottery Fund, which is considering an application for the remaining £21m. A dry run for the transfer of artifacts and antiquities from a small outdated museum atop the Acropolis to the new ultra-modern Acropolis Museum on Makrygianni street, some 400 metres away and off the Acropolis' south side, was successfully completed at the site on Thursday in optimum weather conditions, ahead of the actual transfer operation on Sunday. Three large industrial cranes set up on the renowned archaeological site -- one within the remains of the classical-era theatre of Dionysus and one adjacent to the Acropolis Museum -- successfully manoeuvred a container carrying a 2.5-ton block of marble from atop the Acropolis hill to the new glass-&-steel facility. The first stage of the transfer will take place on Sunday, during which the three cranes will carry out an aerial transfer of a section of the western frieze of the Parthenon Temple -- one of the heaviest exhibits to be transported -- from the old museum to the top floor of the new museum, which has been named the Parthenon Hall. Athens's cutting edge new Acropolis Museum will begin receiving 4,000 ancient works next week, many of them arriving by crane from the old museum. LISBON, Portugal (AP) - Archeologists in Portugal have found more than 4,500 Roman coins bundled together inside the wall of a blacksmith's house dating from the fourth century. Antonio Sa Coixao, who is leading excavations in Coriscada in northeastern Portugal, said Wednesday by telephone the 4,526 copper and bronze coins were inside a hollow walland covered by dirt and tools. The coins had apparently been put in a sack which had mostly disintegrated, he said. «It looks like someone was trying to hide them, but they never went back to get them,» Sa Coixao said. Archeologists excavating the site, which is believed to be a Roman village, came across the coins Friday, he said. Ancient Greek craftsmen didn't need fancy math to cobble together the first catapult, a new study of ancient texts suggests. Archimedes' laws and theories just helped make the weapon better. The first catapult in Europe flung into action around the fourth century B.C., prior to the invention of mathematical models that revolutionized ancient technologies, said Mark Schiefsky, a Harvard University classics professor who led the study. "It seems that the early stages of catapult development did not involve any mathematical theory at all," Schiefsky said. "We are talking about so-called torsion artillery, basically an extension of the simple bow by means of animal sinews into something like the crossbow." The ancestors of humanity are often depicted as knuckle-draggers, making humans seem unusual in our family tree as "upright apes." Controversial research now suggests the ancestors of humans and the other great apes might have actually walked upright too, making knuckle-walking chimpanzees and gorillas the exceptions and not the rule. In other words, "the other great apes we see now, such as chimps or gorillas or orangutans, might have descended from human-like ancestors," researcher Aaron Filler, a Harvard-trained evolutionary biologist and medical director at Cedars-Sinai Institute for Spinal Disorders in Los Angeles, told LiveScience. COPENHAGEN, Denmark (AP) - Archaeologists have discovered a Roman cemetery from about 300 A.D. in suburban Copenhagen with about 30 graves, a newspaper reported Wednesday. The first exhibition devoted entirely to Roman theatre has opened in the ruins of the Colosseum in Rome. The ruins of more than 1000 ancient theatres are scattered over the territories of the former Roman empire from North Africa to Northern Europe and from the Near East to Spain. The Greeks and the Etruscans were the first to hold public theatre performances of tragedies and comedies in arenas scooped out of a hillside, or in temporary wooden structures. But it was the Romans who first developed mass entertainment on the grand scale in huge purpose-built theatres built of stone on flat sites. A television crew is helping to uncover the secrets of an iron age hill fort. County archaeologists have spent months digging the dirt at Credenhill Park Wood. But they were given a helping hand by the Time Team, who spent a day filming in the county as part of a planned documentary on hill forts in the UK. The wooded hill is the site of one of the largest three hill forts in the country, and digging is currently taking place to determine its extent. With the help of students from Cardiff University, a number of trenches have been dug, revealing pottery, Roman coins and possible saw pits. A historical building which served as an olive oil factory for 200 years and was later used as camel shelter, a gin factory and woodshed in Muğla’s Milas district will be converted, with the help of the Milas Museum project, into what will be the most modern museum in the Aegean, luring both local and foreign tourists to the region. The building is owned by one of the most distinguished families of Milas. The protected area where the historical building is located is estimated to cost $500,000 alone and covers an area of 14,000 square meters. Milas Museum director Erol Özen said the historic factory has been idle for 30 years. “We will convert the ancient factory into a museum where we will display the artifacts excavated in and around Milas. We will also restore the olive oil factory, which will be able to work traditionally as it used to work in its time, so that the visitors will view the process of olive oil production,” he said. The team of archaeologists of the famous Bulgarian Professor Nikolay Ovhcarov has unearthed three unique artefacts from the different epochs of the ancient city Perperikon. The three artefacts were unearthed during the four-month excavations of the team, Professor Ovcharov himself announced at a Wednesday press conference. The first artefact is a bronze sword dated back to the 13-12 century BC. Such swords were used in the Trojan War, the professor explained. One of Britain's leading universities is embroiled in an embarrassing row over hundreds of treasures looted from Iraq. Found scattered around ancient Mesopotamia, the Aramaic incantation or devil bowls were placed upside down in homes during the sixth to eighth centuries to trap evil spirits. The spells, and information such as the names of the home owners, are not found in any other source. One collection contains the earliest examples of the Bible in Hebrew. Anther collection is at the centre of a legal row that has divided Britain's academic community. Since the first Gulf War in 1990, Iraq has been a looters' paradise. The United Nations introduced a sanction in 2003 making it illegal to handle artefacts from the country. So when University College London came into possession of 654 bowls, the biggest collection in the world, which it loaned from a private collector, suspicions were raised. „Eine erneute Luftbildaufnahme kann in Kombination mit der Vermessungsaufnahme entzerrt werden“, erklärt Massimo Kimelmann, Leiter der Außenstelle Eichstätt des Vermessungsamtes Ingolstadt, das in Walting kostenlos Amtshilfe leistete. Und: Eine Wiederausgrabung sei dann mit Hilfe von GPS-Technologie völlig unproblematisch. Das ist vor allem wichtig, da noch nicht völlig klar ist, wie es mit der Waltinger Ausgrabung weitergehen wird – zur Zeit laufen die Verhandlungen mit dem Grundstückseigentümer. The Companions of the Black Bear, organisers of the annual Tewksbury Medieval Festival say that the turning medieval for the weekend could help put Tewkesbury back on the tourist map. Next year is their 25th anniversary and they want the whole town to join in, making it bigger and better than ever. They are already planning a number of events leading up the festival weekend of July 12 and 13, and a jousting display and huge procession through the town for the actual weekend. ATHENS -- On Saturday, huge cranes will begin lifting ancient statues, carvings and architectural fragments off the Acropolis, down to a new museum built at the base of the most famous citadel in the world. For the vast majority of these stone remnants of the great age of Athens, it will be the first time they have ever left this rocky summit. Even as the forces of history washed over this city for millennia, making and unmaking it according to the dictates of three major religions and at least a half-dozen empires, these stone gods and heroes, which once decorated its temples and public spaces, have remained close to their original home. That makes them the lucky ones. The new museum, designed by architect Bernard Tschumi, has proved controversial from the start. The old Acropolis museum, a low and ugly space built next to the Parthenon, has long been deemed inadequate. Three earlier efforts to build a new museum, in 1976, 1979 and 1989, failed after becoming mired in legal, archaeological and political conflicts. The current museum, which required the expropriation of 25 buildings, has been in the works since 1997, and again legal difficulties delayed it -- so much so that the plan to open in time for the 2004 Athens Summer Olympics is now ancient history. Archeologists were very pleasantly surprised to discover an unknown rune stone under the floor of Hauskjeen church in Rennesøy, Rogaland in western Norway. The rune stone likely stems from the 11th century, and tells of Halvard's powers or Halvard's magnificence. The stone slab has been broken off at both ends, and the text ("Mæktir haluar") is just a small part of the original inscription. Archeologists from the Archeological Museum in Stavanger thought at first that they had rediscovered a rune stone documented in 1639 and 1745, but closer examination revealed that the stone has not been reported before. Prokuplje -- Serbian archaeologists found evidence of what could be the oldest metal workshop in all of Europe. Archaeologists hope that this find in southern Serbia will prove the theory that the metal age began a lot earlier than it was believed to have, Šljivar told Beta news agency. He leads the team of archaeologists that have been investigating the site over the past decade. After seven hot summers of digging, an Italian archaeological team believe they have discovered one of the most important sites of the ancient world. Fanum Voltumnae, a shrine, marketplace and Etruscan political centre, was situated in the upper part of the Tiber river valley. It lies at the foot of a huge outcrop of rock, upon which is perched the mediaeval city of Orvieto. A walled sanctuary area, 5m-wide (16ft) Etruscan roads, an altar, and the foundations of many Roman buildings that have laid buried for two millennia have been discovered. A dozen schoolchildren from across Britain, who won a competition run by Ordnance Survey, spent the day with Channel 4's Time Team to help discover the remains of a Roman villa. The lucky winners met with presenter Tony Robinson and the rest of Time Team in Gloucestershire, where an exciting dig had already begun for the show's new series. The winners were able to tour the trenches and be on hand as a beautiful Roman mosaic, ancient coins and pottery were uncovered. The competition was run as part of the national mapping agency's annual Free maps for 11-year-olds initiative, which offers every Year 7 pupil in the country a free map. It is one of the largest educational resource initiatives of its kind, with up to 750,000 pupils benefiting from a gift of a detailed OS Explorer Map each year. Winners had to answer questions on map symbols and suggest a special site for a Time Team dig. MANY hands are making light work of an ambitious £78,000 living history project at the Ard Whallan outdoor education centre. After months of fundraising, work began in April to build an authentic Viking longhouse on the slopes overlooking West Baldwin, designed to give a taste of life in the Island 1,000 years ago. It will eventually form part of a Viking homestead where school parties will be able to make clothes and furniture, as well as cook, weave and tend to hens and sheep. The Department of Education-led project required a lot of tough physical labour to build solid dry-stone walls and sturdy wicker fences by hand, but staff from Scottish Provident International Life Assurance (SPILA) were happy to help. The secrets of Norwich's past are being unearthed as part of archaeological digs in the north of the city - where city walls which date back to the Vikings have been discovered. Archaeologists have discovered remains from the city's old walls, dating back from the 10th century, as part of excavation work being carried out in the Botolph Street area, near Anglia Square. The work, which started two weeks ago, is being carried out in advance of a planning application to assess what lies under the ground and is expected to continue until early November. It is believed the discovery of the ancient city walls reveals Norwich's historic links with the Vikings. Russian archeologists have found 75 ancient graves (dating from the 15th to 18th cc) at the digging site of the necropolis by Nikolo-Dvorishchenskiy Cathedral in Veliki Novgorod. According to the Moscow archeologist and anthropologist Denis Pezhemsky, the digging works have been on from early July and more entombments are expected to be found. The remnants of the ancient Novgorod dwellers are kept in sarcophagi, which are of great historical value. Some tombs are probably family ones, because several people were buried together, Denis Pezhemski says. DNA extracted from skeletal remains has shown that Neanderthals roamed some 2000 kilometres further east than previously thought. Researchers say the genetic sequence of an adolescent Neanderthal found in southern Siberia closely matches that of Neanderthals found in western Europe, suggesting that this close relative of modern humans migrated very long distances. Svante Pääbo at the Max Planck Institute for Evolutionary Anthropology in Leipzig, Germany, and colleagues examined skeletal remains found in the Okladnikov cave in the Altai Mountains and dated as between 30,000 and 38,000 years old . Until now, archaeologists have been unable to determine whether the remains belonged to Neanderthals or another species of extinct hominid because the bones are too fragmented. Environment Minister John Gormley has signed a temporary order to preserve a prehistoric monument that campaigners say is being threatened by the M3 motorway in Co Meath. The controversial motorway was supposed to be 100 metres away from the Rath Lugh promontory fort, but opponents of the road say the fort was being directly impacted by levelling works. Mr Gormley has now signed an order to protect the site on the recommendation of archaelogist Conor Newman, an expert on the Tara valley.